Meet Abayomi, an adorable amigurumi lion, who's African name means "bringer of happiness"! 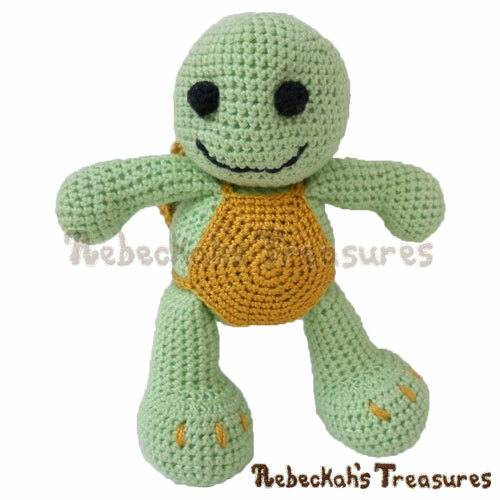 It won't be long before he's bringing happiness to your home because his limbs (arms, legs & tail) and facial features (eyes, ears & muzzle) are attached as you crochet the body and head. Even if you decide you would rather sew those parts on later, he still works up fast due to all the fun tips and suggestions for marking placement. 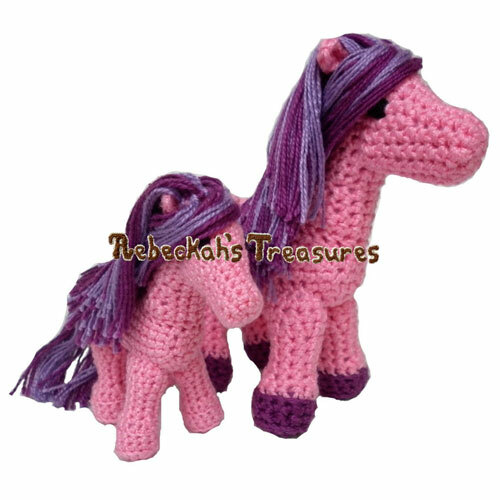 Join the Amigurumi Abayomi Lion CAL to try out this pattern for FREE! He's also an Awesome Daddy! So, make him a cute lion cub to love with Sharon Ojala's free Little Bigfoot Lion crochet pattern. Instructions include how to crochet this adorable amigurumi lion pictured, so that minimal sewing is required to put the pieces together. Written instructions, along with 100+ tutorial pictures demoing attachment and adding other important characteristics, will help you along the way! This PDF formatted pattern has 28 pages (4.3MB), including a cover page and a handy abbreviations chart page. It uses US Terms. Cotton Thread #10 makes a 5" (12 cm) tall lion. Worsted Weight Yarn makes a 12" (30 cm) tall lion. *NOTE: These lion sizes are approximates. Your lion height/size may differ depending on your chosen yarn, hook size and tension.